Universal Digital hand grip for Camera Camcorder. 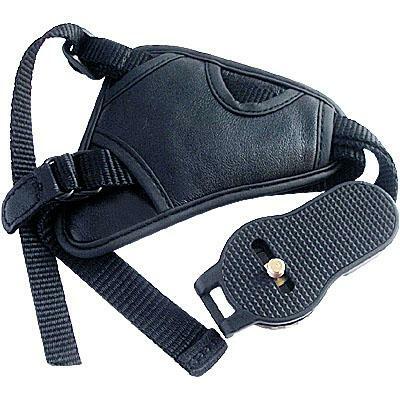 Leather strap / hand grip for SLR/DSLR, camcorders and full size digital cameras. Custom fit, easy adjustment. This genuine leather belt provides a secure, one-hand grip for any α DSLR camera.